Ashok Gehlot, former Rajasthan chief minister, yesterday replaced Congress veteran Janardan Dwivedi as organisation and training in-charge. Ashok Gehlot said he got the new job because of Congress president Rahul Gandhi's trust in him. 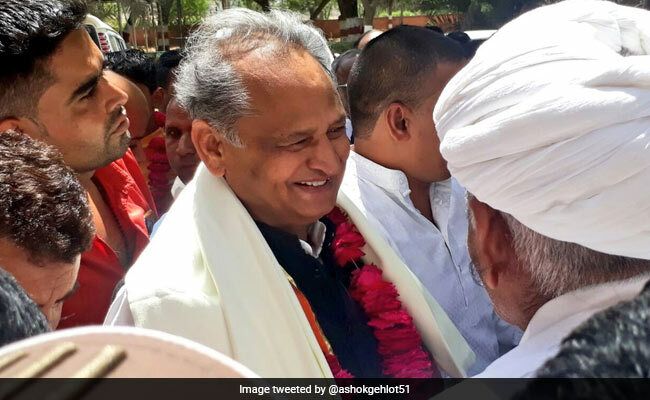 Jodhpur: Newly-appointed Congress general secretary in-charge for organisation and training Ashok Gehlot today said he would work towards strengthening the Congress before the 2019 General Elections. The former Rajasthan chief minister yesterday replaced Congress veteran Janardan Dwivedi for the post. Mr Gehlot also said that he was given the new responsibility because of his loyalty towards the party and Congress president Rahul Gandhi's trust in him. "I would do everything possible to rise to his expectation," he told reporters. The Congress leader arrived in Jodhpur yesterday to condole the death of his close friend Jawahar Surana. Mr Surana, a senior Rajasthan Congress functionary, died yesterday at a private hospital from prolonged illness. Terming his new role in the party a "huge responsibility", Mr Gehlot said, "I would do my best to meet the party's expectations. I have always treated myself as a simple worker of the party regardless of the responsibilities and have always tried to put in my best." "This is a huge responsibility for me and I would now work to further consolidate the position of the party keeping in view the general election next year," he said. "We together would work for strengthening the party, expand its base and bring it back to the power in the Centre by infusing a new life in the Congress and its cadres across the country, Gehlot said. He said more youths would associate with the Congress after they are told about the party's ideology and the contribution and sacrifices of great leaders. "We need to think about the atmosphere of fear, hatred, intolerance and violence that has been prevailing in the country these days," Mr Gehlot said. 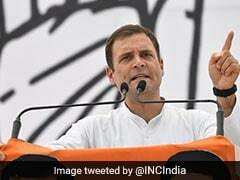 The Congress would work for "restoration of affection, love and humanity across communities and bring a peaceful atmosphere in the country", he said.